Who Else Wants Metal Bedroom Furniture? Metal beds, metal dressers and chests have hit the contract furniture industry with a bang! With a focus on cleanliness and durability, metal furniture has gained a place of prominence for facilities that focus on health care or housing. So what makes contract metal furniture such a winner? To begin with, the heavy duty metal bed and heavy duty metal cabinet construction combines strong steel with fashion-forward colors and finishes. The powder-coated painted finishes with laminate tops and accents easily blend into any floor plan. Warm, earthy finishes mimic wood furniture and can made to look like any wood species. Bolder, saturated colors can blend into spirit colors or just add some dazzle to an otherwise bland color palette. So how do you know if metal furniture is the right choice for your furniture project? To begin with, look at your consumer’s needs and lifestyles. If you have transient consumers or students who will use your facility heavily for limited amounts of time, metal may be a great choice. Metal furniture can be easily cle aned and can be treated with pesticides that will not penetrate the furniture surface. For those concerned with pests like bed bugs, metal can be a great choice because the non-porous material offers limited places for pests to hide. If you deal with consumers who tend to use their living environment without a lot of regard the furniture then metal might be a good consideration for you too. 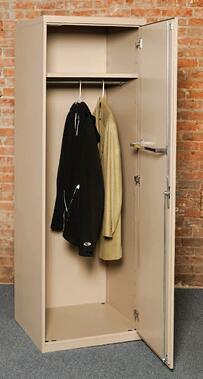 Metal furniture can withstand a lot of heavy use. Contract metal furniture uses heavy-gauge steel that does not dent or get damaged under typical use. The baked-on painted finish resists dings and scratches but can be spot repaired if needed. 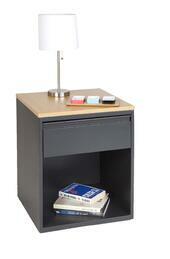 With the addition of laminate tops to case pieces, metal furniture is practically indestructible for any contract use! When weighing the pros and cons of metal versus wood furniture for your next furniture project, always work with a reputable contract furniture provider contract furniture provider that understand the needs of your consumers and your facility. Not all metal furniture is created equally so ask for specifications and warranty details so that you truly understand what you are buying.